South Jersey + Philadelphia area connection-driven photographer for all of your big moments and every day adventures. My documentary portraiture creates artifacts of your life and love for the next generation with wedding, maternity, birth, fresh48, newborn, and family lifestyle photography. Just like your love, I'm in this for the long haul. I want to get to know you and the ones you love: your milestones, your favorite moments, your growth, your truth, my lens. With every session, my goal is to inspire slowing down, connecting with your purpose, and helping you see the true beauty of your every day. From backyards to breweries, and cozy in-home sessions to outdoor adventures, I'd love to photograph the little moments that cause you to sink deeper roots with the one you love most. We're a good match if you're laid-back, adventurous, and are not afraid to be super affectionate with the one you love. PLANNING A WEDDING IS STRESSFUL. YOUR LOVE IS EASY. LET'S GET TO THE ROOT OF YOUR FAMILY, THE PLACE WHERE YOU FEEL ANCHORED AND NOURISHED. These are the moments when you pull them a little closer, hug them a little tighter, and hold them a little longer - in comfort and healing, love and longing, in the quiet and the chaos - these are the moments that go unnoticed, and all those that you try so hard to savor. If your family is growing, or if you just want to document the every day awesomeness of your tribe, you’ve come to the right place. "I look at the photos you took of us over the past year and seeing myself through your lens/eyes, I see a really beautiful, happy, lucky woman. In the end of my pregnancy, and in the beginning of motherhood, seeing myself that way was such a surprise and had such a positive impact. Thank you forever!!! xoxo"
"I'm so happy with these! There is nothing I'd want to be different! I loved the private one-on-one shots we had before the ceremony, and the pictures of us drinking beer together outside, and then, all of the dancing pictures, are my favorites. You were stealth the whole night, I don't think I even registered these pictures were being taken! You did a wonderful job, I'm so so happy!" "Thanks so much for capturing our favorite moments and being an all around rockstar. You're the bee's knees!" "Chris and I just looked at the photos. They are absolutely magical! What an incredible gift to be able to see all of those moments after the fact. We will never be able to thank you enough." We just watched the video... we're both crying :) It's beautiful... and more than we could have asked for. Thank you so much! We're so happy that you helped us forever capture these precious moments in Olivia's life." "Thank you so much again for capturing us as we truly are and not making us pose or put Evan in silly positions. You are so good at what you do! I want to hire you to be our in-house photog, you could just follow us around and take pics, making even the most mundane tasks beautiful, Mike cleaning the dog poop up outback and me cleaning out the fridge on Sunday eve before trash pick up on Monday. Seriously though, I am already thinking about the next time we will need photos, I don't know if I can wait a year!" "This is how Max will remember me, and he will (hopefully) look at these pictures someday in the far off future and love them as much as we do." "I love that the moments aren't just a memory in my own mind. They can be shared with everyone and relived by ones who were present. Your work is the greatest gift." Wife, momma, photographer. Deep feeler, silly dancer, and chocolate lover. Found frequently at the farmer's market, snuggled on the couch, or chasing my little guy at the park. I'm based in Collingswood, New Jersey, but willing to travel to document your life's adventures. I truly cherish photos of my parents, from when they were my age, doing parenting for the first time. It's such a gift to look back and see them, as my son sees me now. I'm on a mission to authentically document all of the emotion, tenderness, and craziness of your life - both the monumental moments, and your every day awesomeness. When you look back on your life, these are the moments you will cherish. We can't slow down time, but we can preserve it. 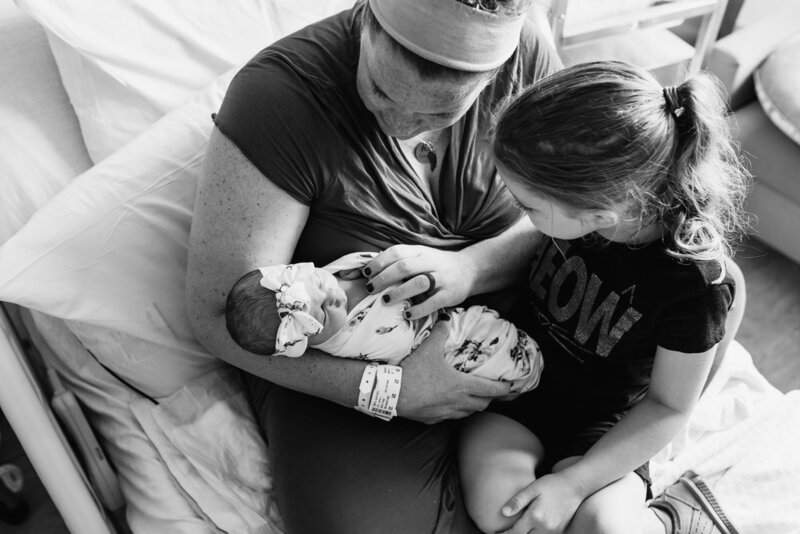 Bridget Massa is a Southern New Jersey and Philadelphia area family photographer, specializing in weddings and stories of motherhood: birth, fresh48, maternity, family, and newborn lifestyle photography.